You see all these college students? Most of them in high school probably thought what you might be thinking, that college is an unaffordable dream. But they were able to make it happen. Compare Price (Tuition), Discounts (Scholarships), Reliability (get a good paying job after you graduate), Acceleration and smooth Ride (challenging and fun school to be in!). Here’s a shop-and-compare of 4 really good colleges that offer degrees in Peacemaking and Conflict Resolution. There are many such schools. Here we are comparing essential entry requirement and cost figures only, and you can find out and compare much more about different colleges. This shows how you can do this on your own. 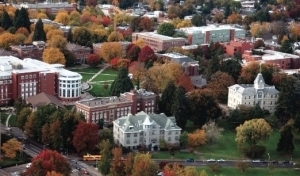 Oregon State University – a BIG University with 28,000 students. It’s relatively easy to get into; they accept 78.9% of high school students who apply. But it’s competitive, too, mostly 3.75 high school grade point average or higher. Out of state tuition (their cost of maintaining buildings and facilities and paying the teachers) is $23,514. * Add on about $15,000 for a place to live, food and personal stuff (est. $140/month), and the full sticker price is $38,751 per year. That’s a lot, but most students pay less because they get money from the school, government or private sources (called financial aid, or grants). 71% of OSU freshmen get grants averaging $5,681. 57% get federal loan aid. The grants and the loans cut the cost to about $26,800. This cost is way less, $15,000 less, for Oregon residents. More grant aid may be available to you here in Hawaii, from private sources or from the government, like Pell grants for students from low income households. DePauw University – a small college, 2,304 students in a medium size Indiana town. Cold in the winter, like 28 degrees, but nice Spring and Autumn. It is fairly challenging to get in, 61.2% acceptance rate and mostly 3.75 GPA or higher for incoming freshmen. Tuition is very high, $40,640. Add on living costs, and the sticker price for one year at DePauw is $53,290. But 96% of incoming freshmen get grant aid, averaging $22,970. Add on the average loan, $6,515, and that makes the cost to attend DePauw $23,805. 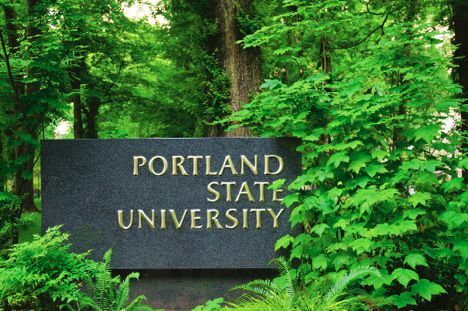 Portland State is a very large university, 28,260 students in Portland, Oregon. Cool winters, 41 degrees. It is slightly challenging to get in, 61.2% acceptance rate and average competitiveness. Incoming freshmen have below 3.24 GPA. Out of state tuition is $23,088. Add on living costs, $15,200, and a year at Portland State is $38,288, without financial assistance. 64% of freshmen get financial aid averaging $7609, and 53% take out an average of $5,721 in loans. That lowers the cost to $22,958. Oregon residents pay considerably less; their tuition is $7,878. Portland State has an admissions councilor who specializes in Hawaii students. She is Celeste Krueger, 503 725 5574, admissions.celeste@pdx.edu. 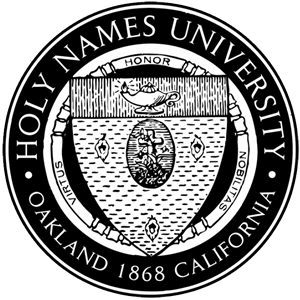 Holy Names University is very small, 1,343 students. The campus is in the hills above Oakland, California. 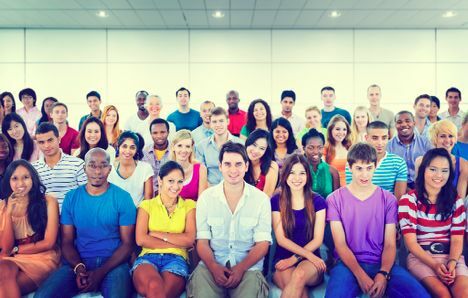 72% female students with unusually even ethnic diversity. Relatively difficult to get in: 56.7% acceptance rate. Average competitiveness; entering freshmen have below 3.24 GPA. Very expensive tuition; $37,020 and with living expenses the cost to attend for one year is $49,041. Wow. But 99% of qualifying freshmen get aid averaging $23,003 and take out loans estimated at $6,260. That reduces the cost for a year at Holy Names to $19,778. So to Compare, DePauw and Holy Names are small with small class sizes. They are relatively hard to get into and they have the most generous financial aid packages. Portland State offers the cheapest tuition. Oregon State students earn the most salary after graduation ($46,200 median salary) of the four schools. 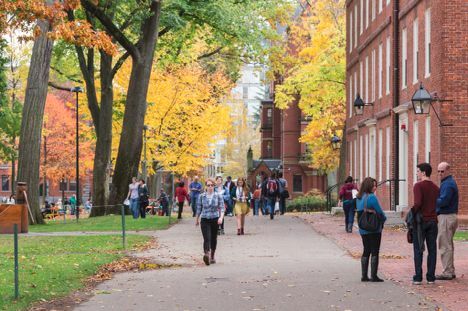 You can make these comparisons of many great colleges that offer Peacemaking and Conflict Resolution studies, and in greater detail including class sizes, SAT scores and campus life at this site. Here are just a few of many resources for getting money for college. Advice from the U.S. Department of Education about How to Start Looking for Scholarships. A collection of scholarship opportunities for students from Hawaii. An office of the U.S. Department of Education offers scholarships and loans. PELL GRANTS and STAFFORD LOANS These are offered to low income students. The average award is $3,800. Determining factors are your family’s income, how much they might be expected to help you financially, the cost of the college, whether you attend full time or not. Find out what you can receive at this government website. Borrowing money is often the only option a high school student has to enter college. In fact more than half of college students take out loans. Usually, they must start paying it back right after they graduate. What’s good about a student loan is it enables you to get a degree which can earn you a much higher income and enrich your life in other ways. The downside of borrowing is sometimes the student does not graduate. Also sometimes they take on more loan debt than they can comfortably pay back given their career choice. If you don’t make payments, it can affect your credit, and make it harder and more expensive to rent an apartment or buy a car. In addition, student debt is not like other kinds of debt in that it typically cannot be forgiven in bankruptcy except in cases of undue hardship. Working while in school, getting scholarships and going to in-state, public colleges are the proven ways to avoid going in to too much debt to pay for college. If you already have student debt, beware of ads that say “Trump Wants to Forgive Your Student Loans!” or “Erase Default Status in 4-6 Weeks!”. Companies that offer debt relief or credit repair charge fees, and they can make your debt even worse. Instead, call your loan servicer first. You can also consolidate loans through www.studentloans.gov and get the same services for free.